Another month of under achieving. Its not like we are playing badly, and getting kicked. It’s more that was can’t seem to get out from under our shadows. Perhaps this year is more about assembling the pieces than winning the race? Matias Beltran is still the best left back in the squad and has a couple of good years left in him. Jason Ferguson is my first choice rotation player in the midfield. Despite being injured Lewis Lewis is viewed as an important team member – There is a foreign team sniffing about, and if a bid come through I will be selling. Following our poor showing last match the squad needs to bounce back with a win today. Brodie Phillips makes his debut replacing the suspended Beltran. Once again we were struggling to get shots on target. We created quite a few chances but just couldn’t put them away. Philips is my backup left back and a player for the future. It was good to give him some minutes. Sergej is my second string right center midfield player, and at 19 has room to develop. Good to lock him down for another year. Robinson has been my backup left winger and as yet has not played any minutes for the first team. Due to managerial oversight Brodie Phillips kept his place in the starting team. We needed to bounce back with a win to end our poor run of form. David Carli bagged a fine hat-trick did the job for us. Json Fergusson had a fine match as well. Perth Glory are defending champions and are making a push up the table after a poor start. This will be a good match. The title says it all. We were shocking, and despite having more shots, and creating more chance we couldn’t find the goal. They were clinical when the chances came their way and got a deserved victory. Sydney up next and a game we need to win to close the gap on first place. Paul Thurtell starts at right back, due to ???? demanding a move when Europe came knocking. Once again we can’t get the win. The first half was a tight affair with both teams having chances. Sydney took the lead just after half time and I had visions of the match slipping away. With the game almost done, Nicolas Orlando scored the equalizer to see us escape with a point. As predicted Robinson got to play a few minutes. He acquitted himself well and played a part in the dramatic late goal. One step forward, one step back, and some running on the spot. We need to string some wins together! Sitting in third place and in danger of losing touch with the leaders. The match against Melbourne Victory is a must win for us. In fact we really need a minimum of 8 points from these next four matches. 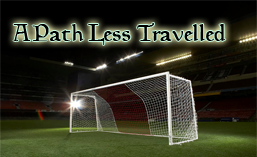 This entry was posted in 2019, A Path Less Travelled, Newcastle Jets, Season 2019/20. Bookmark the permalink.